A high quality water based acrylic polyurethane enamel, for interior and exterior use. It exhibits excellent durability and gives a smooth enamel finish. It is quick drying and NON YELLOWING. Approx coverage 13-15m2 per litre. 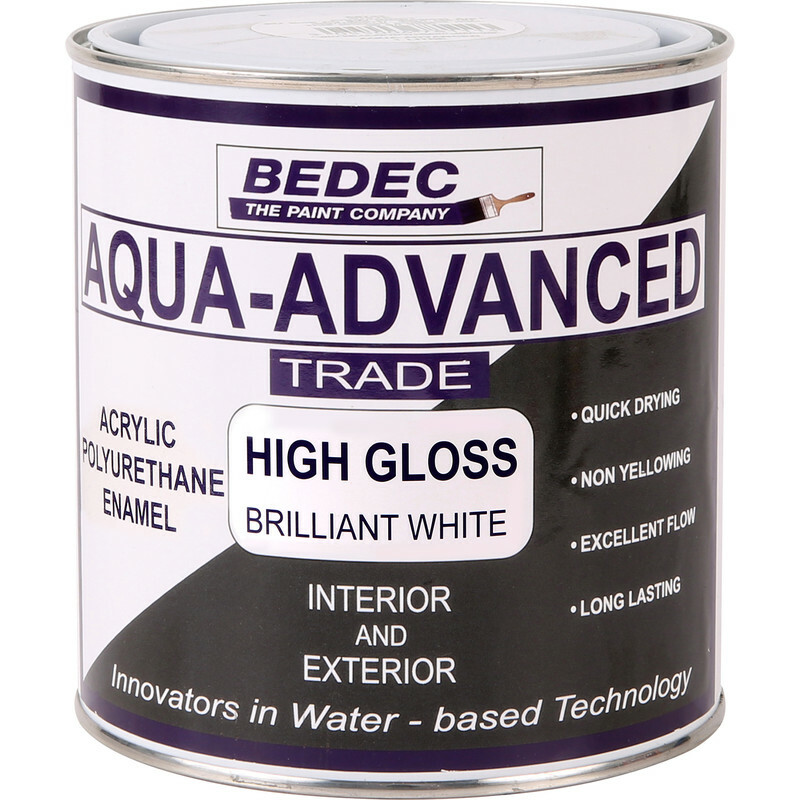 Bedec Aqua Advanced High Gloss Brilliant White 1L is rated 4.3 out of 5 by 20. Rated 4 out of 5 by SIREE from Glossy water based paint It takes some changes in techniques and new brushes and rollers but a good gloss finish is achievable. Watch the various you tube listings by hamilton brushes. Rated 5 out of 5 by Andybrod from Pure white Did my hallway last week with this and it is wonderful my partner has asthma and this has no smell so perfect for us well worth the money. 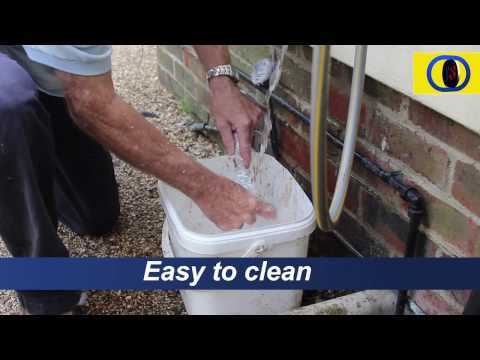 Rated 5 out of 5 by mgp075 from Great product Great product. Easy to work with and great white gloss finish. Applied easily with a brush or roller - need to work fast though as it dries quickly. Use a good brush to avoid excessive brush lines. Good preparation and 2 coats needed to ensure best results. Rated 4 out of 5 by Iain71 from Excellent quality, just like paint used to be. I have used this to paint my barge and soffit boards.. It feels right and looks good. Rated 5 out of 5 by toolbox from quality bought this to refinish a bath, product has been beyond my expectations. the finish when sprayed has given a finish equal to the original ceramic surface. Great product. Rated 5 out of 5 by jackthedripper from Give it a good shake first! Initially found it very thin, not at all like the descriptions online, despite having given it a good stir, so contacted Bedec to check if they thought it might be a bad batch. They suggested shaking it, which completely transformed the paint - much more like what I had been expecting. Coverage is good, gloss is good, very white, perhaps too white for some. Smells a bit at first but gone in half an hour. Needs to be put on fairly thickly and laid off quickly to allow brush marks to flow out - it dries much too quickly to mess about with. Also did a test just cleaning existing paint with sugar soap and putting straight on without priming and seems to have stuck well, passing the fingernail scratch test. Overall, excellent, just remember: shaken not stirred!